Have you seen the new movie, The Voyage of the Dawn Treader? It’s based on the third book in The Chronicles of Narnia, by C.S. Lewis. 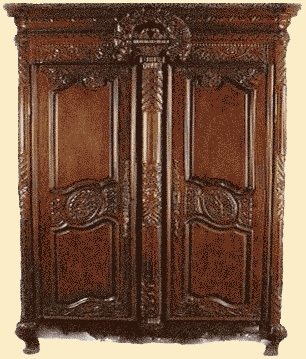 I was thinking about Narnia recently when suddenly it hit me that a famous detail in the story contains the secret to making the Bible come alive today. Let me explain. 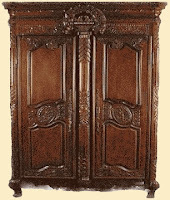 As you probably know, one of the central images in The Chronicles of Narnia is the wardrobe. It’s through the wardrobe that the four children—Peter, Susan, Edmund and Lucy—enter into a whole new world where the lion king Aslan is alive, where Aslan is on the move. As the story unfolds, we learn that Aslan represents Christ; he’s a picture of God incarnate. And that’s the secret: the Bible is like the wardrobe in Narnia. Think about it; if our main focus in reading the Bible is relational, that is, to get to know the heart, mind and presence of God every day, then we enter into a whole new world where God is alive and God is on the move. But, if our main focus in reading the Bible is informational, that is, just to learn Bible facts, or gain Bible knowledge, or to stop biblical illiteracy in America, then we find ourselves in a frozen world, where it’s more difficult to grow as a Christian. So what’s the point of reading the Bible? It’s certainly not to become a Bible know-it-all. Rather, it’s to embrace Aslan. That’s what makes the Bible come alive today. YES! Marvelous. So simple, so clear. Thank you! Fantastic analogy. Thank you for sharing this!! Eric Metaxas in his biography of Dietrich Bonhoeffer quotes a letter that Bonhoeffer wrote to his brother-in-law. I think Bonhoeffer found the Wardrobe! Daniel…I love the Bonhoeffer quote. Perfect tie in to what I was trying to communicate. Thanks for sharing it. I've tried so many times to start a routine of Bible reading and always fail. Thinking about this being an adventure with Aslan may make this a little easier. Thanks! I appreciate your remarks, and like the analogy. It's interesting that you think Aslan represents God, because I think many people thing he represents Jesus – especially in one of the books when he sacrifices his life for another. Outstanding article, a bunch of fine knowledge. post are very nice. I want to respond to the comment from the Anonymous friend above. You are right, Aslan is a Christ figure in the Narnia books, and my blog post didn't bring that out clearly. I've made an edit that clarifies. Thanks for your helpful feedback. I think that makes complete sense! CS Lewis was a true Christian, and using his stories as a euphimism for us to learn from was genius. I think we should all read the Bible with that in mind. Thanks for the awesome comparison! You have made a very insightful observation in this blog. Only those who read Bible this way will be able to see God more clearly and follow Him more closely each day. This should be the primary reason to read and study Bible. What should we think of the many verses in the Bible that are plainly wrong, contradictory, or even (by today's standards) evil? 1 Peter 2:13-14 Be subject for the Lord’s sake to every human institution, whether it be to the emperor as supreme, or to governors as sent by him to punish those who do evil and to praise those who do good. Since God knows all (past, present, future), why are all his explicit commandments, as above, relevant only to that barbaric time, and none that are explicit for today? Shouldn't some of the Bible be directed specifically to “future times”? Why does it appear that God speaks only to an unchanging past?